Agra Khajuraho Short Tour is a unique discovery towards the medieval legacies of India. First level of the journey takes you through the quaint heritage of stone sculpted temples of Khajuraho. 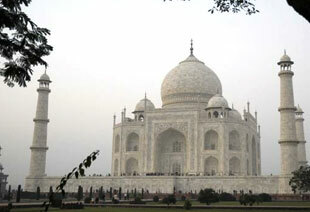 In the next leg, the tour introduces you to the glistening beauty of Taj Mahal, the scenic wonder of India. Board train # 12448 U P Sampark Kranti Express from Delhi at 20:10 hrs. Overnight on board. Checkout from Hotel and proceed to Jhansi Railway Station. Enroute visit the Temples, fort and palaces at Orchha. Proceed to Agra by train and heck into hotel. After breakfast visit Taj Mahal and Agra Fort. Proceed to Delhi International airport (4 hrs drive) for your onward flight back to home.